➮ What is considered to be a short break? ➮ Is the short rest break paid time or nonpaid time? 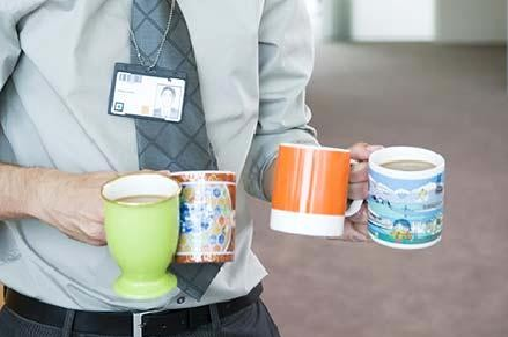 ➮ Do I have to provide employees a short rest or coffee break? ➮ What if an employee take a longer break than allowed? ➮ What If You Aren't Getting Your Legally Required Breaks? Many States have laws mandating rest breaks for employees. The length and frequency of the breaks vary state by state, but a common practice is a minimum 10-minute rest break for each 4 hours worked. Shift2Work’s flexible setup allows for custom break length settings to fit your company's needs. A unique and helpful feature of our service is that employees are paid only for the amount of time for a rest break. Any time that may be taken beyond the set amount of break time is not paid. An employee working a four-hour shift is provided with a 10 rest break. The employee actually takes 15 minutes. Shift2Work’s program records the 10 min. of paid break time and the extra 5 min. is unpaid time. So the time worked is 3 hours, 55 minutes instead of the full 4 hours. ➮ Rest breaks of up to 20 minutes are considered paid time, unlike a meal break and will be accurately recorded automatically by Shift2Work’s system. Shift2Work’s time-clock service accurately tracks all employee clock-in/out activity: the beginning/ending of work shifts, rest breaks, and meal breaks. Shift2Work’s Lunch Monitor Alert can enhance compliance with state labor laws & reduce unauthorized overtime. Click here for more information about this feature. **For informational purposes only. Not to be considered as legal advice on this or any matter. Shift2Work recommends web site users/readers seek competent legal counsel on all legal matters. What is considered to be a short break? Federal law does not require short rest or coffee breaks. However, when employers do offer short breaks, they usually last about 5 to 20 minutes. Employers can set a specified period of time allowed for a short break. Recording time spent on break is at the discretion of the employer. Is the short rest break paid time or nonpaid time? Federal Laws: Department of labor states "Employers that authorize short breaks or rest periods must count them as hours worked." Rest periods of short duration, usually 20 minutes or less, are common in industry (and promote employee efficiency) and are customarily paid for as working time. Some states require paid short rest breaks that are less than 20 minutes at one time. These short breaks are considered part of your work day and must be paid. The time spent on a break is counted as regular work time and is also included in the overtime calculations. Do I have to provide employees a short rest or coffee break? State Law: Currently only a handful of states require employers to allow employees to take rest breaks throughout the work day. A ten minute paid break for every four hours worked is the most common practice. A few states allow employers to choose between giving a lunch break or rest breaks, or require only that employers provide employees enough break time to use the restroom. Click on the button below to go to the Department of Labor's website to find a list of state rest break laws. Different Rules Apply to Younger Workers. What if an employee take a longer break than allowed? Unauthorized extensions of authorized work breaks need not be counted as hours worked when the employer has expressly and unambiguously communicated to the employee that 1) The authorized break may only last for a specific length of time, and 2) That any extension of the break is contrary to the employer's rules and will be punished. What If You Aren't Getting Your Legally Required Breaks? If you aren't allowed to take legally required breaks, or you're required to work through your breaks without getting paid, contact your state labor department.